ARE YOU LOOKING FOR THAT PERFECT HOTEL, RESORT OR CONFERENCE CENTER TO HOST YOUR NEXT MEETING, CONFERENCE OR RETREAT? If you answer is yes, then let our knowledgeable team help you find that right place to match your business and personal connection requirements. After all, we have worked at these excellent facilities many times and can be a valuable resource in finding the right place for your next meeting or retreat. So we highly endorse and support the following list of hotel properties to conduct your meetings and enjoy our CEO Chef programs and experiences. We are also excited to work with you at any hotel property of your choice. We have designed all of our cooking team building exercises to be enjoyed and experienced at your favorite hotel property. This introduction of a new hotel property is how we expand our list of Hotel Power Partners. Call at 888-308-8326 or email at Connect@CEOChef.com to begin your search for the right hotel host for your next meeting, conference or retreat. Tell us about your group: the size, the dates, sleeping rooms, conference rooms, meals, etc.. and we'll suggest the perfect property to make your meeting, conference or retreat near perfect for you! well-equipped suites and villas have all the appeal of a private beach house, but with the added amenities of a four- diamond resort: room service, maid service and an award- winning restaurant on-site. Nestled in the foothills of the Santa Monica Mountains, Westlake Village is one of Los Angeles’s best kept secrets. Located in the heart of Malibu wine country, this idyllic, Southern California retreat is a short drive from the iconic beaches of Malibu and Ventura, and offers a number of attractions and things to do. 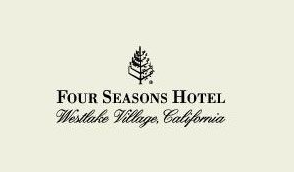 This luxury hotel destination allows you to create a place of work and productivity, active leisure, deep relaxation and personal improvement – or perhaps all four – in Westlake Village. 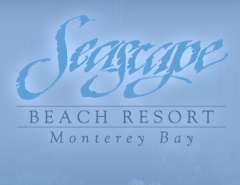 Sanctuary Beach Resort is an oceanfront hotel nestled on 19 acres of Monterey Bay shoreline in Marina, California. A rare Monterey hotel on the beach, Sanctuary invites guests to sleep a sandy-toed walk away from their guest cottage to the water. If you are serious about being at a place that feels remote but is less than 80 minutes away from the high tech capital of the world, this is your place to conduct leadership retreats, strategic planning and building valuable work team relationships. Located on a glorious hilltop and set against the majestic San Gabriel Mountains, Pacific Palms Resort is Los Angeles’ only full- service, destination resort appealing to both leisure and business travelers. The AAA Four Diamond, award winning Chaminade Resort & Spa is a spectacular 300 acre mountaintop retreat in Santa Crus, California. This historic Mission-style resort overlooks sweeping views of Monterey Bay National MarineSanctuary and the Santa Cruz Mountains. Chaminade is a luxurious destination for celebrations, getaways, weddings and executive meetings. 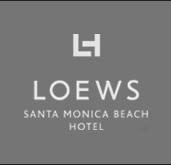 Enjoy laid-back luxury and contemporary comfort at Loews Santa Monica Beach Hotel. Southern California provides the sunny beachfront setting and sensational ocean views; Loews provides the signature service and gracious hospitality. You’ll savor every moment you spend with us at our Santa Monica luxury hotel. With the perfect combination of a downtown location and impeccable services, the newly restyled New Brunswick hotel suits every need. Business guests will appreciate amenities such as extensive event venues, 24-hour business center, and convenient access to local companies and Newark Airport and located right across the street to Johnson & Johnson's headquarters. Pala Mesa Resort is a California-Ranch style hotel located in the burgeoning and scenic North Country region of San Diego. Host your next Newport Beach meeting, conference or cooking team building event in the distinctive elegance of the area's only luxury waterfront hotel, the Balboa Bay Resort. Take advantage of our 4,000 square foot bay side lawn, Coconut Grove outdoor terrace, or large and uniquely decorated space in our Grand Ballroom. You'll enjoy pristine views of the bay from meeting rooms that spill out into our open courtyard. High above the frenzied pace of the city, Lake Arrowhead Resort and Spa is situated at an elevation of 5,106 feet in the San Bernardino National Forest along the shores of picturesque Lake Arrowhead, with plenty of fresh air and clear-blue sky. Escape to this historic California resort of casual elegance featuring luxury accommodations, Spa Ojai, and a championship golf course. Our staff is ready and waiting; book your California conference venue meeting facilities at Ojai Valley Inn & Spa today! Located on Cowell’s beach, adjacent to the wharf and historic Santa Cruz Beach Boardwalk, Dream Inn is ideal for exploring Santa Cruz and has views of Monterey Bay from every room.